Our own Brent Amaker and the Rodeo will wrap up their West Coast tour this Saturday, September 22nd at Columbia City Theater. A beautiful band hits a beautiful venue – it doesn’t get better than this. 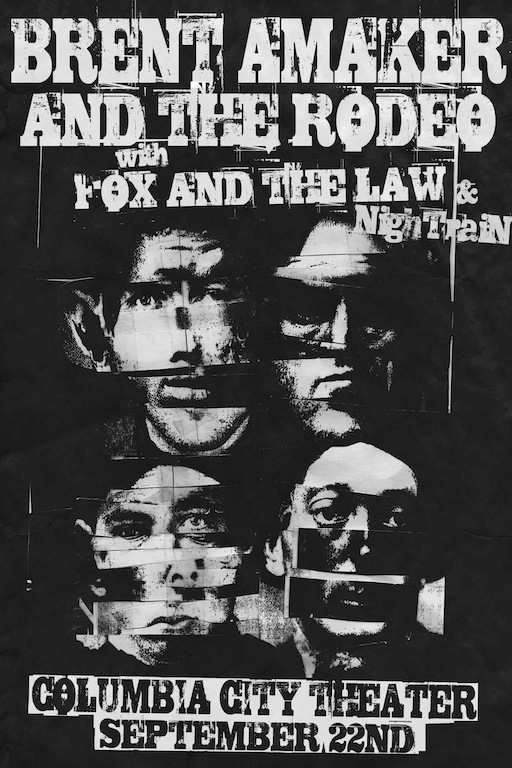 For openers the Rodeo will be joined by two additional fantastic bands, Fox and the Law and NighTraiN, creating a triple bill straight out of my dreams. I cannot wait to hear more from the seriously highly anticipated album from Brent Amaker and the Rodeo called Year of the Dragon. I need it already. Written by: Dagmar on 09/20/2012. This entry was tagged brent amaker and the rodeo, fox and the law, night train. Bookmark the permalink.